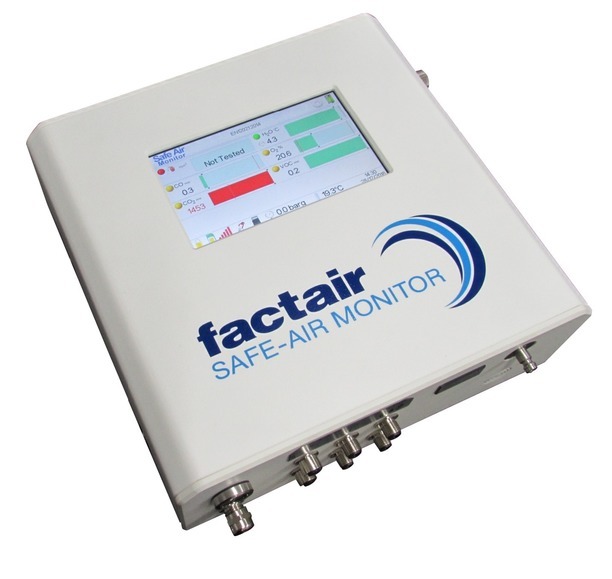 Factair have officially launched their new range of Air Quality Test and Monitoring Instruments. 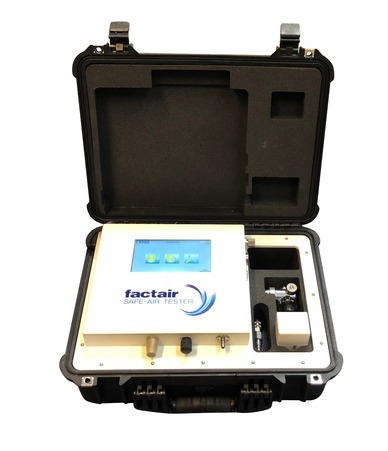 Factair are proud to announce the latest F8000 series of test instruments to its range, by far our most advanced test instrument to date. The F8000 Safe-Air Tester is a portable, point of use test instrument for testing breathing-air. Utilising electronic sensors for dewpoint, CO, CO2, O2 and a PID sensor for detecting volatile organic compounds including oil vapour. The instrument also incorporates a digital flowmeter and has a continuous datalogging facility. The F8004 Medic-Air Tester is a portable point of use test instrument which can test medical, surgical and dental air. In addition to the sensors fitted in the F8000 it also incorporates NOX (NO and NO2) and SO2 sensors. The F8100 Safe-Air Monitor is desinged for continuous monitoring and utilises the same sensors as the F8000. The unit can be fitted with a SIM card for GSM text alert and a local WiFi hotspot. The instrument als incorporates 2 volt free contacts which can be configured to trigger on pre or main alarm levels. Test results from the instrument can be downloaded as a CSV file. The F8104 Medic-Air Monitor is similar to the F8100 but also incorporates NOX (NO and NO2) and SO2 sensors for testing medical and surgical air.